We want to devote the proper attention and time to your vehicle, so stop in or call us today to make an appointment for scheduled maintenance, future work or to find out more about our new Special Financing. We want to devote the proper attention and time to your car or truck, so stop in or call Champs Family Automotive today to schedule an appointment for regular maintenance or important repairs, or to learn about our auto repair financing plans. We welcome your questions or comments about our services, so connect with us using the form below, by following us on Facebook, or by calling the Goodyear or Surprise location directly. We look forward to serving you! Some auto repair shops focus on only a few services, such as oil changes and filter replacements. Our team, however, thinks you shouldn’t have to go from place to place to service or repair your car, so we handle all auto repairs in each of our two locations. Check out what our ASE-certified technicians can help you with across all makes and models of vehicles by visiting the Services page for a full list. Just come into the repair shop nearest you with the confidence that from basic service to engine overhaul, we do it all with fair pricing and a friendly, family-oriented attitude. Driving a safe vehicle shouldn’t be a decision made solely based on cost; everyone needs to be safe on the road. That’s why we firmly believe in offering everyday affordable rates, plus special deals on specific services and even financing plans for those bigger repairs. 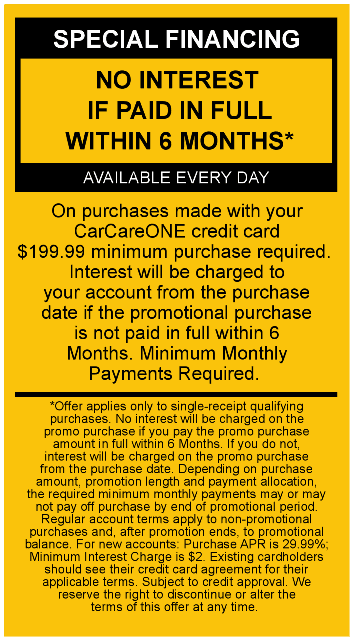 With our financing options, you can choose to pay a reasonable monthly payment toward a large repair and drive away today, instead of paying cash upfront for the whole service. Contact Champs Family Automotive to find out if your services qualify for financing, and visit the Specials page for more information and discounts. Contact the location nearest you today! Win a FREE Lube & Oil Change! Please tell us about your experience at Champs Family Automotive by writing a review. This will enter you into a drawing for a chance to win a free lube and oil change! From simple oil changes to major engine repair...YOU NAME IT, WE DO IT! We have brought back the INTEGRITY, FAIR PRICING and TRUST a customer should have with their mechanic, while providing STATE OF THE ART WORKMANSHIP. Champs Family Automotive are specialists trained in all makes & models of vehicles from gas to diesel engines, from simple fluid leaks to engine overhauls & emission controlled systems.